So cute and fluffy! Bring on the bling and fly toward adventure with this colorful stuffed macaw. 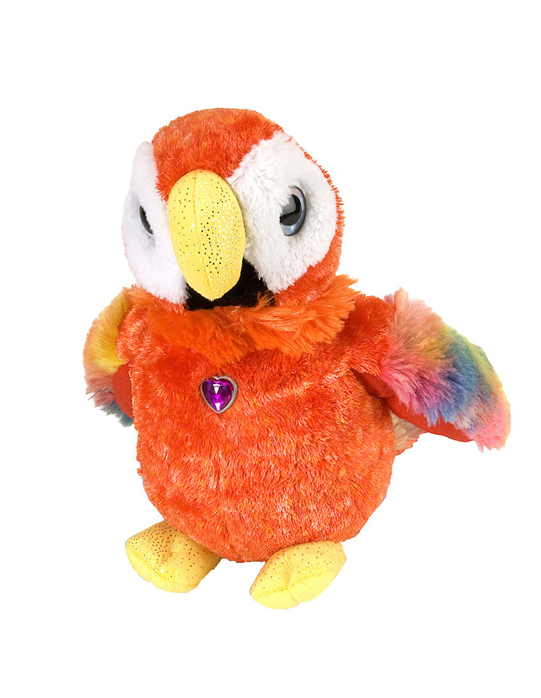 Our 12-inch Sweet & Sassy macaw has a bright red coat of feathery soft fur, with rainbow colored stripes on its wings. Sparkly yellow feet and beak with a white face and big round eyes give this lovable bird an adorable look.